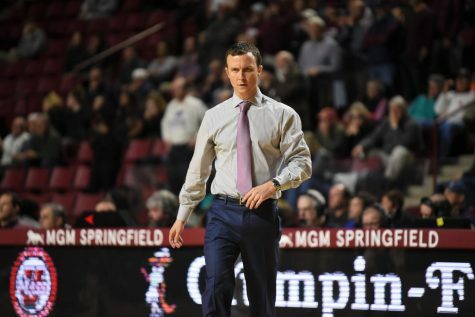 Against stifling defense and timely shooting, the Massachusetts men’s basketball team suffered its first loss in the last four road contests against Atlantic 10 foe Saint Louis, 69-53. Coming into the game, the Minutemen (13-8, 5-3 A-10) knew a physical game would be in store. 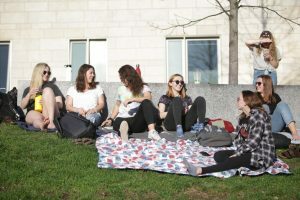 What they didn’t expect, however, was for the Billikens (8-13, 3-5 A-10) to be as opportunistic as they were from long range. 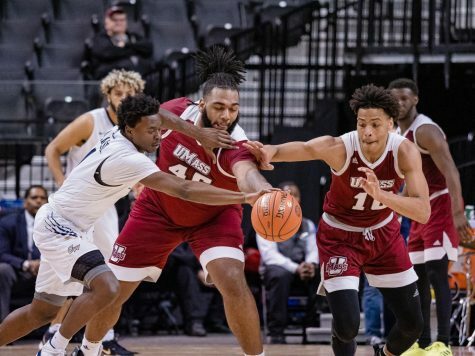 “They play such good defense, they take care of the basketball on offense that if they’re making shots, I think they can beat just about anybody in the league,” UMass coach Derek Kellogg said after the loss. En route to the win, Saint Louis scored 51 of its points from 3-pointers (10-for-32) and free throws (21-for-27). Guard Mike McCall scored a team-high 17 points in the win, while guard Kyle Cassity and forward Cody Ellis each hit three 3-pointers to contribute 11 and 10, respectively. 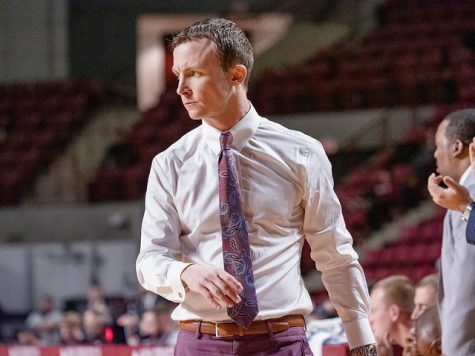 Conversely, UMass struggled to get consistent offense throughout the game, shooting 35.6 percent from the field and converting only one of its eight chances from long range. Once again, senior guard Anthony Gurley led the way in the losing effort with 19 points, but needed 20 field goal attempts to do so. 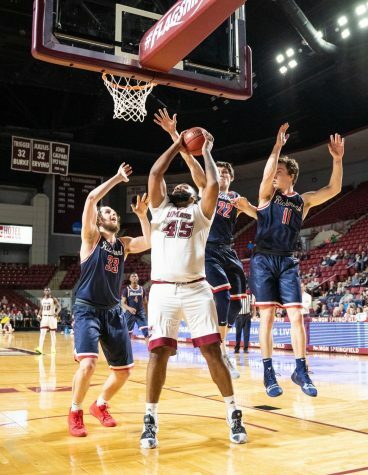 Sophomore forward Terrell Vinson was the only other Minutemen player to provide much scoring alongside Gurley, scoring a season-high 12 points to go with seven rebounds. 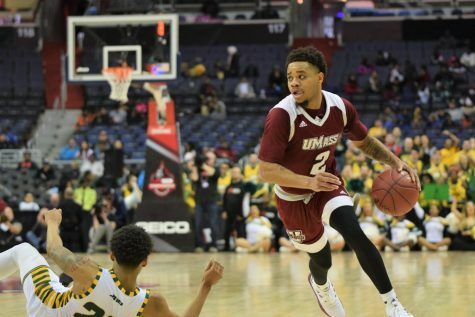 Much of UMass’ points, however, came without much ball movement, as told by the six assists for the contest compared to 13 turnovers. 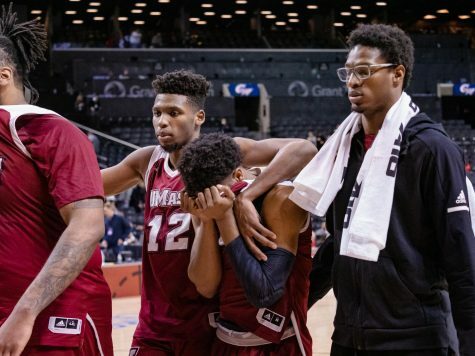 As they were falling further and further behind, the Minutemen showed signs of frustration by committing two technical fouls and one flagrant foul. 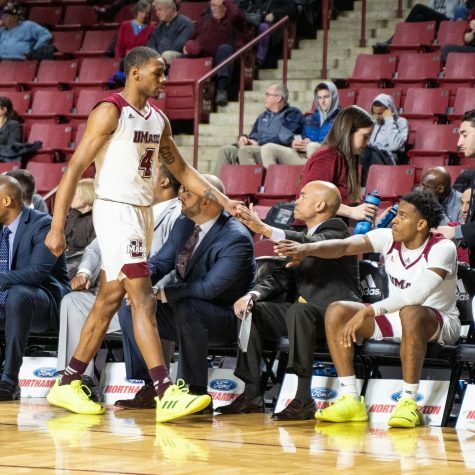 The technicals were whistled on Vinson and guard Javorn Farrell, while the flagrant on guard Freddie Riley caused him to be ejected in the final minutes. 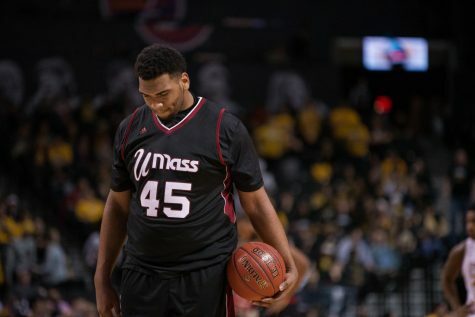 Riley finished with three points on UMass’ only 3-pointer of the game. Kellogg wasn’t pleased with the performance of his team but was more disappointed that his players showed their frustration. Despite their sluggish play, the Minutemen were within striking distance for most of the contest. 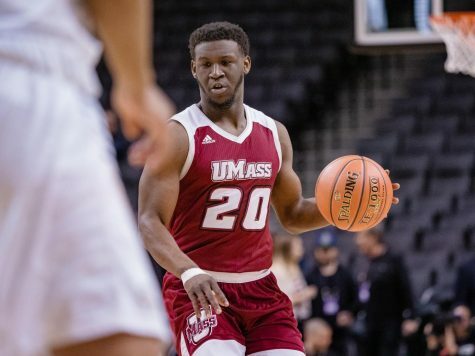 After holding SLU to one field goal in the final six minutes, 55 seconds of the first period, UMass entered halftime with a 29-21 deficit. The Minutemen came out in the second half and cut the gap to four, but the Billikens had an answer as Ellis hit back-to-back treys to conclude a 9-0 run, putting SLU up 43-30. 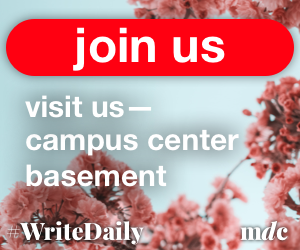 From there, the Billikens kept UMass at arm’s length and hit free throws down the stretch to come away with their first victory in the last three games. 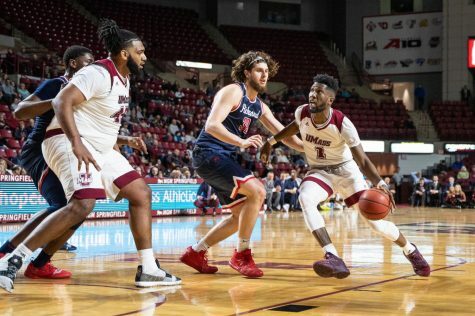 The Minutemen will look to get back on track as they wrap up their road trip with a game at Saint Joseph’s on Saturday at 7 p.m.